Now it’s Buick’s turn with the all-new LaCrosse. It’s not being bashful this time around either, as it aims to knock the very popular Lexus ES350 off its long-standing pedestal. Save for the name, the LaCrosse starts with a new Epsilon II chassis developed by Opel, as well as fresh metal outside and a new interior engineered by the GM design studios in China. The wheelbase is longer at 111.7 inches but the length is down over an inch to 196.9 inches overall. The new chassis uses a MacPherson front, multilink rear end, which equates to not only a better ride, but a more responsive driving experience. Buick offers several engine choices for the Lacrosse, from a fuel-efficient 2.4-liter four cylinder offered in the entry-level CX trim to to a turbocharged V6 engine in the CXL. The car you see here is the CXS, the “mid-range model” so to speak, with the largest engine, the 3.6-liter,direct-injected V6 producing 282 horsepower. This all-aluminum engine is also found in a couple other GM vehicle, such as the 2010 Cadillac SRX. All-wheel drive is optional on the CXL for require the extra traction. The new exterior is a complete 180 from the stodgy look of the last generation LaCrosse. The front end is much more pronounced and sculpted, with a short hood and a gently falling front-end design. The new grill and headlight treatment are much more angular, producing a sleek, yet very upscale appearance. There is a pronounced body line that flows from the headlights all the way to the back, giving the sides of the LaCrosse a subtle, yet muscular look. The subtle chrome touches around the windows, lower door trim and the 18-inch wheels are tastefully done, where the fake hood vents mar an otherwise clean front view. The back end, however, looks like designers called it a day before they finished and just glued the rear end from the Lexus ES. The rear is a bit more svelte than the Lexus. However, it does not complement the rest of the car, almost making it feel generic. The inside carries over the high-class, highly polished look of the exterior. 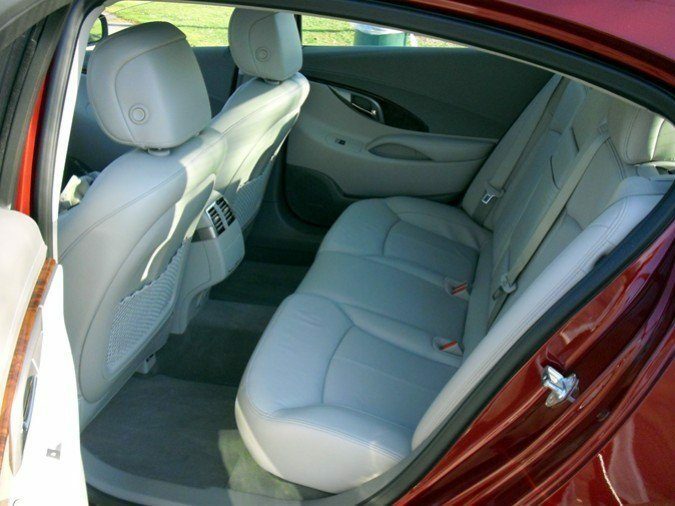 The LaCrosse offers both cloth in the lower trim, but in the CXS and CXL, it’s buttery soft leather and hearty wood. My CXS came with loads of standard features, such as power front heated and cooled seats with memory, heated steering wheel, dual-zone climate control, 11-speaker Harman/Kardon audio system with XM satellite radio and USB ports, Bluetooth and power rear sunshade. To add to the features, there is a touchscreen navigation system and a panoramic roof filling the majority of the roof above. Sitting behind the wheel, there is a tightly packed gauge cluster with two gauges providing speed and engine revolution information. There is not much to them, but they the chrome rings and the sharp multi-function display in between is a nice touch. Then there is the multi-function steering wheels that works nicely to control the audio system, phone system and navigation, as well as heats up when the appropriate button is pushed. The center stack flows ever so graciously down to the center console. There is a large screen at the top for the optional navigation system. Below the screen are the typical buttons for radio and navigation. Then, there are more buttons for the HVAC system, parking brake, standard rear parking sensors, and the rear sunshade towards the lower half. I don’t know if you have picked up on this, but there are a lot of buttons scattered in less than three square feet of real estate. Attempt to use the voice-activated controls as much as possible. 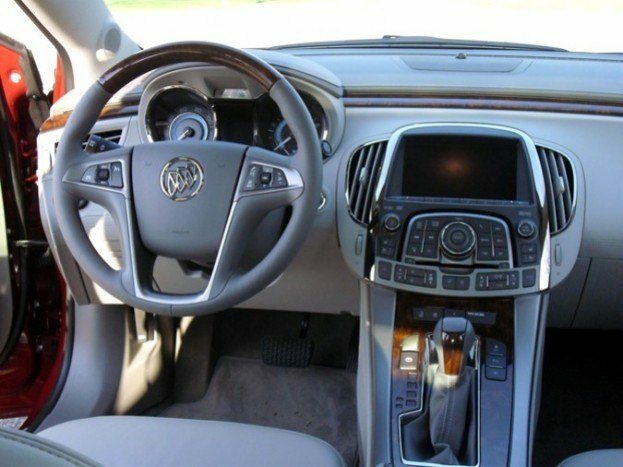 Other than the overwhelming amount of buttons, the 2010 Buick LaCrosse is a wonderful place to spend time. The seats are wonderfully supple and comfortable, the steering wheel can be placed in the right spot, and the falling center stack is easy to reach when in motion. The rear seat has over 40 inches of leg room and 56 inches of shoulder room, which equates into enough room to stretch out and cross your legs comfortably. The best part about the new LaCrosse, though, is the drive. 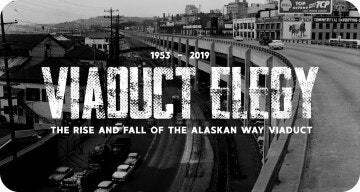 Forget what you thought about Buicks of the past. This one is nothing like it. The ride is complaint and supple, but aimed toward comfort. However, the horrible floating that plagued other models has been tuned out. Rolling over bumps and expansion joints no longer sends the front suspension into a heaving fit. It simply absorbs the imperfections and moves on. 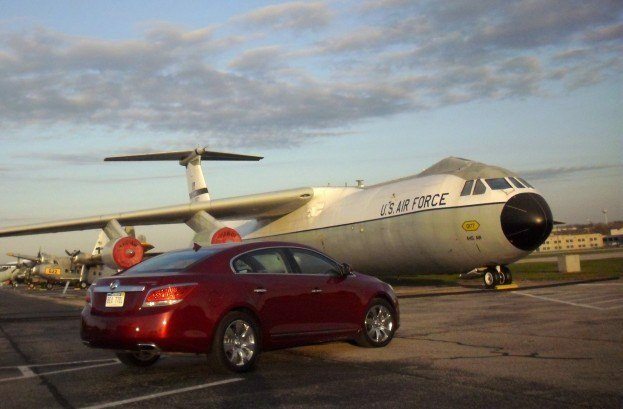 On a road trip to the National Air Force Museum in Dayton, Ohio, the LaCrosse took care of the various road surfaces and textures with great solidity and quietness, with Buick’s Quiet Tuning sound-deadening technology working well. The 3.6-liter engine is ultra smooth and produces excellent power in the low and mid-ranges of the powerband. It is so easy to break the front tires loose from a stop to make some nice “11s”, but you really have to be on the throttle to do it. The lazier throttle would annoy me in any other vehicle, but not in here. The six-speed transmission, with Adaptive Shift Control, was very good as well, with quick shifts without the usual slow downshifts that plague other GM automatics. Off the highway, the handling is quite good in the LaCrosse. It is by no means a Lotus Elise in the bends but it is composed in the corners, with little unneeded movement front to back or side-to-side. Dive into a corner and the front wheels bite, the suspension pivots to the outside slightly and the car pulls through the corner. It was quite enjoyable to know I could leave the traffic behind in a Buick. There are a few things that bugged me. I do have to say the only real letdown in the car was the steering. I just wish it wasn’t so light and numb in every situation. Whether pulling into a parking space or driving down a windy back road, I was always wanting just a little more feel, a little more weight. I know, “It’s a Buick”, but with everything else improved on the car, why not sharpen up the steering a bit more? A couple other items, such as tight leg space up front, hideous lime-green accent lighting (which can be toned down thankfully), and confusing voice commands for the Bluetooth system, slightly degraded an otherwise well-made vehicle. 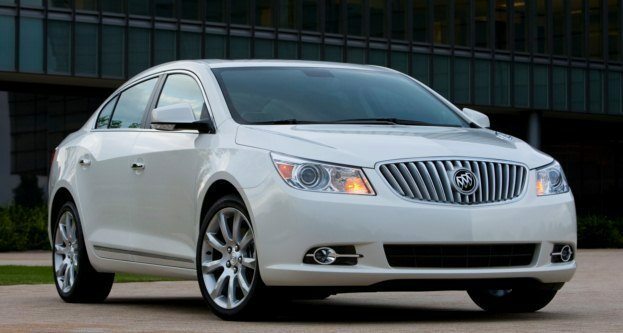 Prices for the 2010 Buick LaCrosse start just below $28,000 for the CX and can reach close to $40,000 for a fully-loaded example with all the electronic goodies, all-wheel drive and Buick’s Adaptive Real-Time Suspension, which adjusts the dampers to both the road as well as driving characteristics. The car pictured here, dripping in its gorgeous Red Jewel Tricoat paint, ran $37,080. In comparison, the Lexus ES350, similarly options, is well over $40,000. I hate to admit that I liked a car that only a year ago was only found outside retirement homes and rental car agencies, but this Buick was a shock. With the new Regal coming out this year, Buick has got some real promise to help General Motors in the right direction. 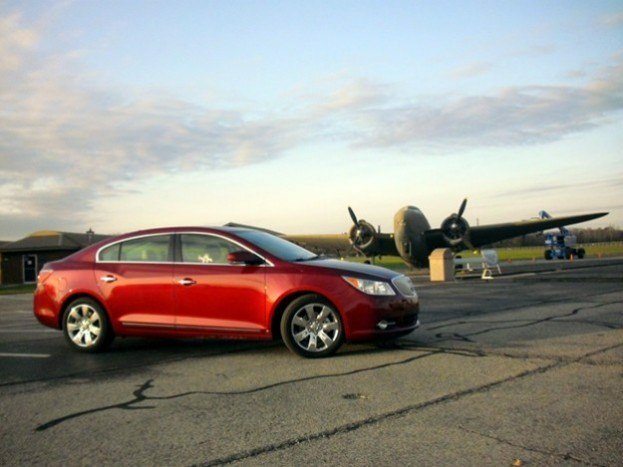 1 Comment on "2010 Buick LaCrosse CXS Review"
I guess it is not bad for a Buick.